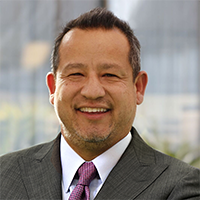 Sean Reyes joins Recall Masters as Chief Marketing Officer . Sean’s experience spans more than 25 years of business development and strategic marketing experience, having worked in the automotive, healthcare, finance and technology industries to serve customers like American Express, Toshiba, Western Digital, Cox Communications, Gateway, Novartis, Microsoft, IBM, Compaq, HP, Confident Financial Solutions, MyCustomerData, Toyota of Orange, and Fletcher Jones Mercedes Benz. While he has an accomplished portfolio of design, production and coding skills, his strength is in “go-to-market” business modeling and digital marketing strategies. Sean spends his free time hiking, kayaking, playing guitar and going to concerts with his kids.